At Sound Precision Entertainment, we employ DJs from all walks of life. We pride ourselves on our diversity, whether it be race, gender, sexual orientation, religion, etc. One of the best things about having a diverse staff is that each of our DJs brings something different to the table. While they are all highly professional, they also have their own unique views and experiences, which they bring to our clients. One of those unique views and perspectives is on the wedding planning process itself. Our DJs work with couples to fulfill their entertainment needs for months prior to the event, so they’ve learned a thing or two about planning a wedding. In this week’s blog, we share our staff’s advice on how to make it through the planning process so you can enjoy your big day! SPE Owner and CEO Scott Terranova has been married to his wife, Jillian, for 5 years. As both a married man and head of the company, Terranova has learned that research is incredibly important when planning a wedding. Director of Operations John Toth Toth works hands-on with couples and has hundreds of weddings under his belt. His advice is to avoid trying to make your wedding perfect. Lending a photographer’s perspective, Capture Cleveland CEO Desmond Beasley recommends making sure your caterer and DJ are both top notch. SPE DJ Rorke Hardy advises couples to sit back and enjoy the experience, whether it be during planning or on the wedding day itself. When he’s not DJing, Hardy enjoys running and advises stressed-out couples to use this medium to clear their heads. SPE DJ Aaron Terkel provides a new twist on an old favorite, which holds true whether you’re newly engaged or married for more than 50 years. 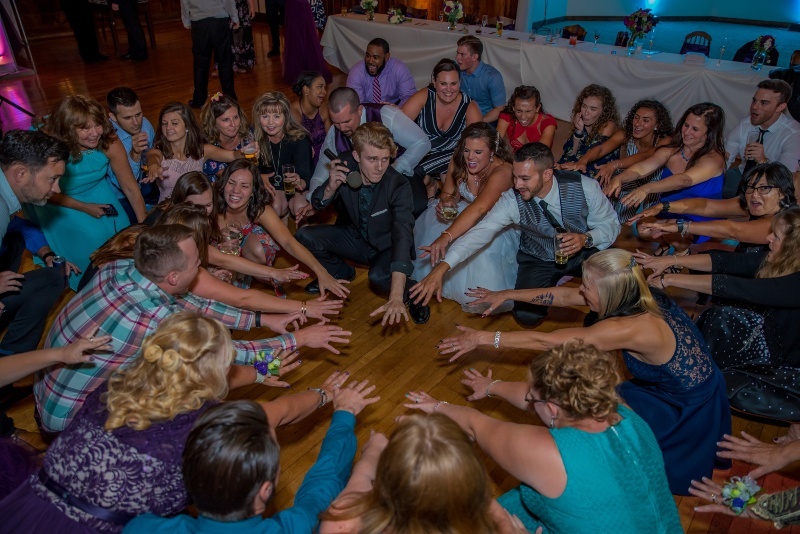 SPE DJ Chelsea Foster recently helped her sister with her wedding and advises couples to breathe, relax and let go.